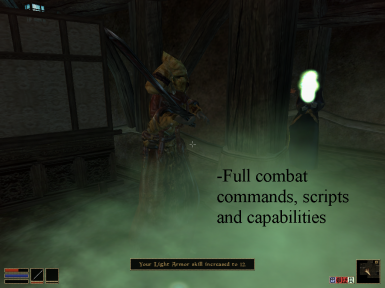 Credits to Stavroguin on the nexus for creating the 'Telvanni Warriors' mod that is used for this companion. MatthewTheBagel; Creating NPC, dialog, etc. 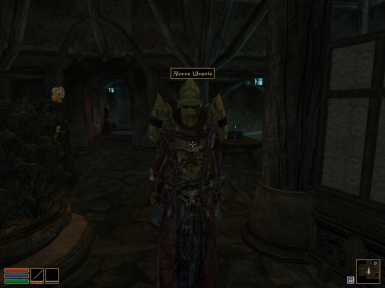 Aloros can now heal himself, cure disease, and cast chameleon and fortify sneak spells for being Stealthy. 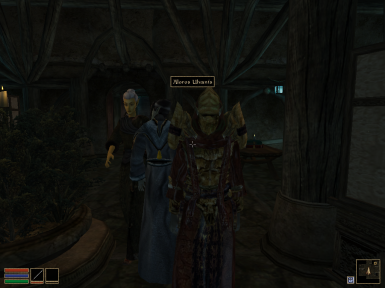 Featured on Morrowind Modding Showcases! (Tribunal and Bloodmoon DLC required!) 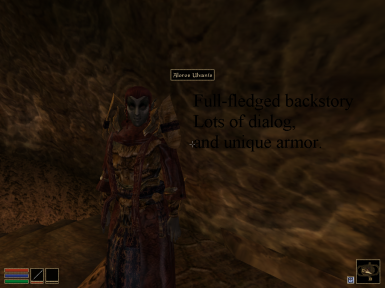 This Companion Mod adds a new Telvanni spellsword to the Gateway inn in Sadrith Mora, Aloros Ulvanis, with a unique Telvanni Armor set. Learn Aloros' rich backstory, with plentiful dialog options about everything, and even learn about a huge mishap that changed Aloros' life, and do a favor for Aloros, to learn more about it. A great companion over-all, with In-depth companion commands from Grumpy's Companion Project. -------------------------- How to Install;- You should have downloaded this from the nexus/other site. Good, now unzip the compressed folder. Inside there should be a folder for Data Files. Drag that 'Data Files' folder into your Morrowind directory, where Morrowinds other 'Data Files' folder is. It should give you a pop-up message. Hit 'Yes to all'. Now that that's done, open up Morrowind. 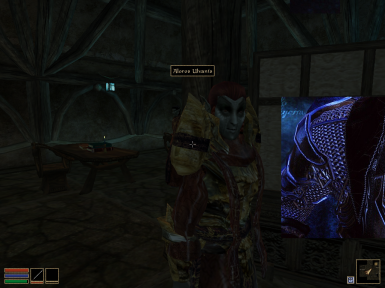 Click Data Files, and check off the 'Aloros' armor' and 'Aloros Companion'. Once those are enabled, save, exit, and start your game.